I know that everyone is busy getting ready for Turkey Day. The holiday can bring lots of stress instead of enjoyment, so why not alleviate some of that thanksgiving food prep panic and make some items ahead of time–like my Pumpkin Protein Pie for instance.My family usually makes the pies the day before, that way they have time to cool and refrigerate. (Yes, my family does love their pumpkins pies cold.) Believe me, I plan on indulging in my mom’s pumpkin pie–full sugar and lactose…it is a holiday after all and I will treat myself. 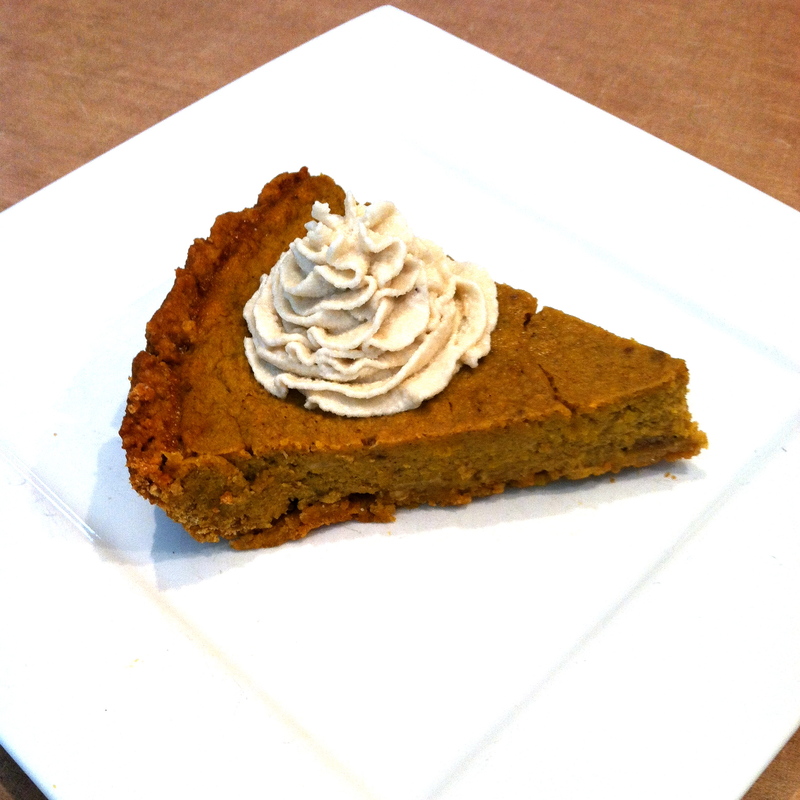 But, if you have stronger will power than I do, tryout my Pumpkin Protein Pie! Begin with the crust by mixing the purée, applesauce and spices together. Pour the mixture on the Chex cereal. Using an immersion blender, mash-up the cereal/pumpkin combination to mush. Gradually add in the Oat Flour until a doughy texture arises. If the mixture is still too wet, add in more flour. Into 2 greased pie pans, flatten your dough into the pans. Bake at 375° for 12 minutes while you prepare the filling. Add in the dates and spies and combine well. Add in the eggs, mix well, then fill the cooled pie crusts with the mixture. Bake at 350°F for 40 minutes, or until the top looks firm. Slice and top with your favorite whipped topping. I topped mine with cashew cream! 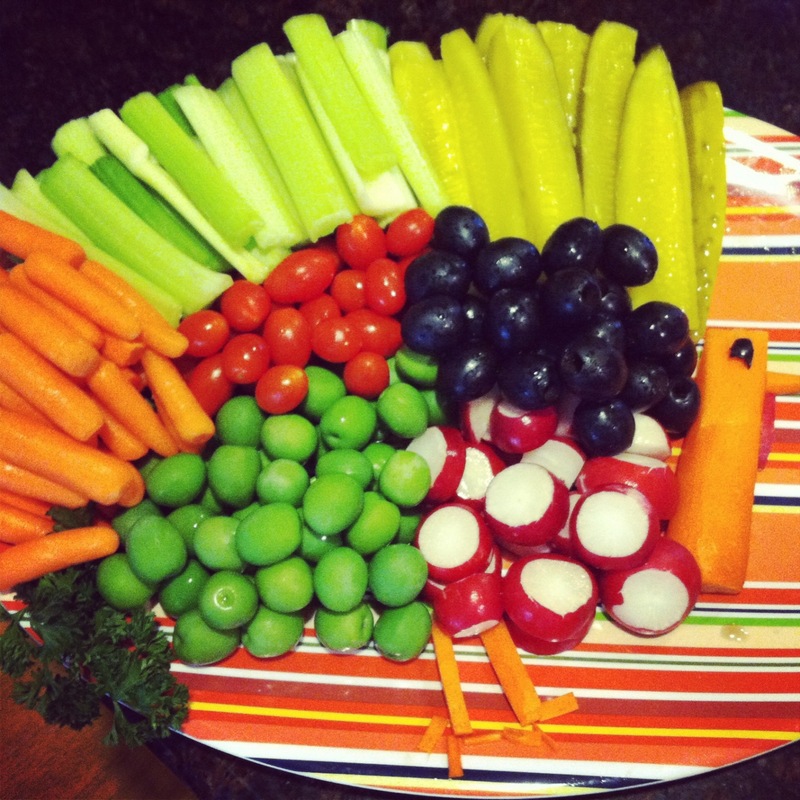 As long as you go healthy for the appetizer and run your Turkey Trot, everything will balance itself out! This year I am thankful for my loving and supportive family who keeps me balanced and grounded, my caring friends who keep me sane, my advisor who drives me forward, this blog that acts as my outlet, my health that allows me to do the things I am passionate about, and my best friend Jessi who guides me in the right direction when I am lost and unsure, who shows me the light of the Lord, and who inspires me to be the best version of my true self each and every moment of the day. I love you all, and I cannot thank each and everyone of you enough for keeping me going through this trying year. I would not be where I am today without you.